We can ID this bird as a White-breasted Woodswallow by its dark sooty gray color, white underparts and steel blue bill with black tip. 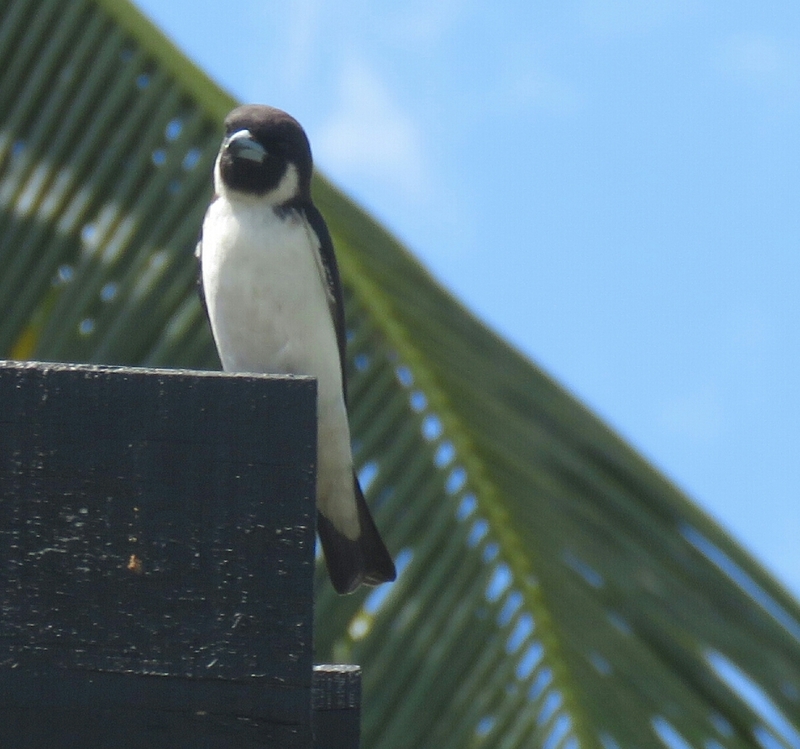 This Woodswallow is of the Fiji subspecies. The Red-breasted Woodswallow is a new species to our Photographic Life List, which now stands at 594.